If you’re looking to live some-where a bit out of this world, then Richard Foster’s “Round House” might just be the ticket. This spaceship-like structure revolves at 10 different speeds, giving views of a pond, meadow and tree-covered hills through a 9-foot-high wall. 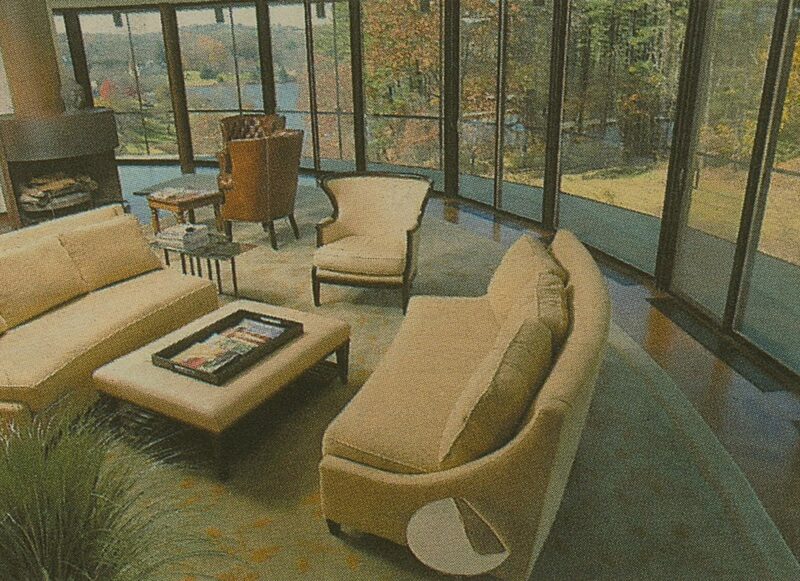 The architect, a partner of Philip Johnson, built it for his family in 1968. Michael Von Oehsen bought the house in Wilton, Conn., a town bordering New Canaan, two years ago from the architect’s family for $1.55 million and spent $900,000 in renovations. He hired Al Salsano of New York City to oversee a complete renovation — removing interior walls, installing a new kitchen with ash-wood cabinets and updating bathrooms, including replacing the tile in the serpentine-shaped shower with small tumbled marble. He also added a pool to the 3.8-acre property. The house is currently on the market for $2.295 million. Coldwell Banker agent Nancy Noonan, who has the co-listing with Joan Madden, recently rented the house to Sandra Singh for one month for $19,000.